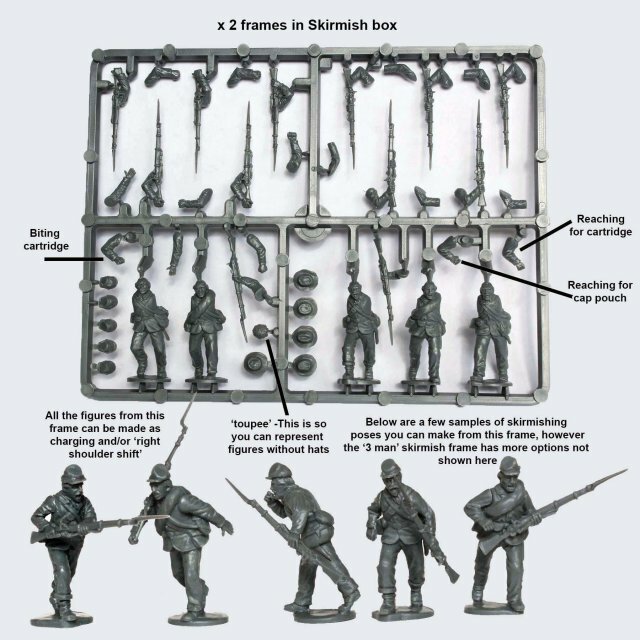 The figures in this box are in skirmishing poses; firing, loading and running. 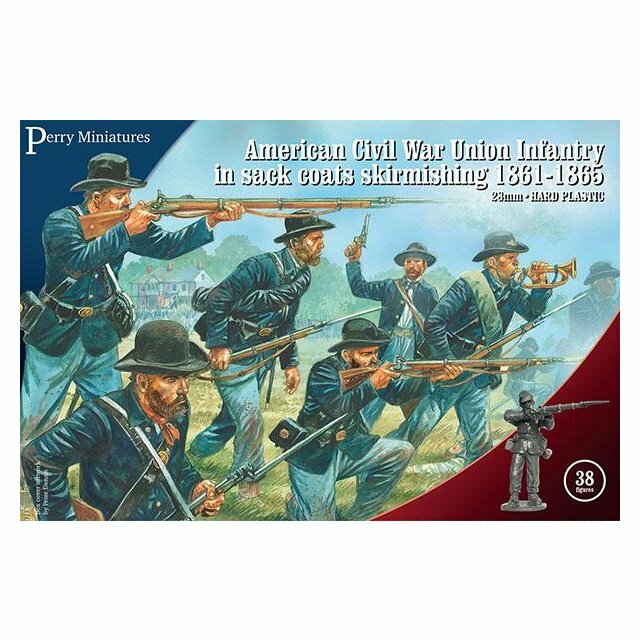 They are all in sack coats and have the choice of either forage caps or broad-brimmed hats. 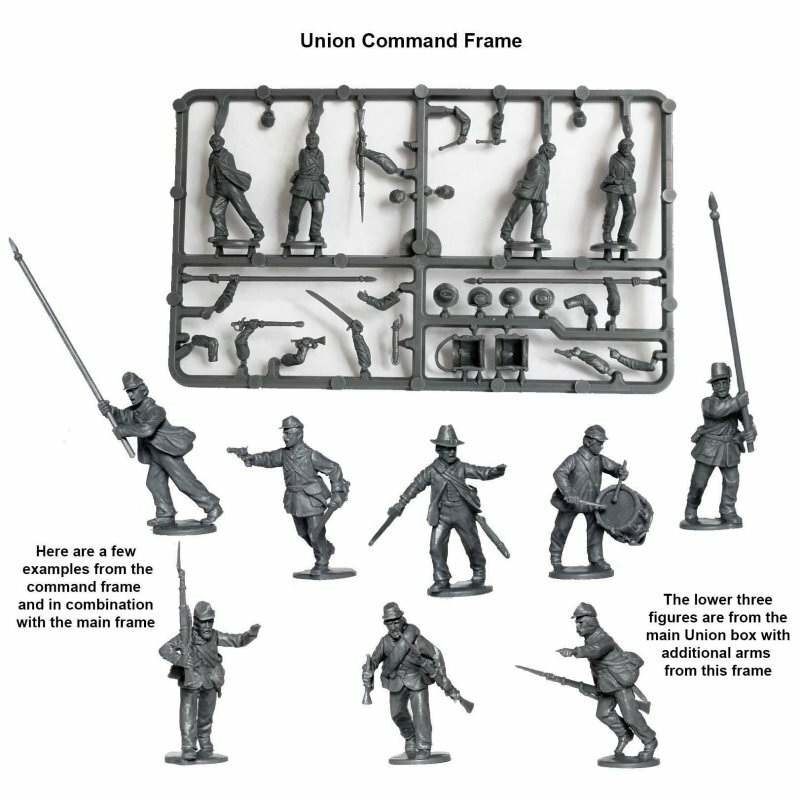 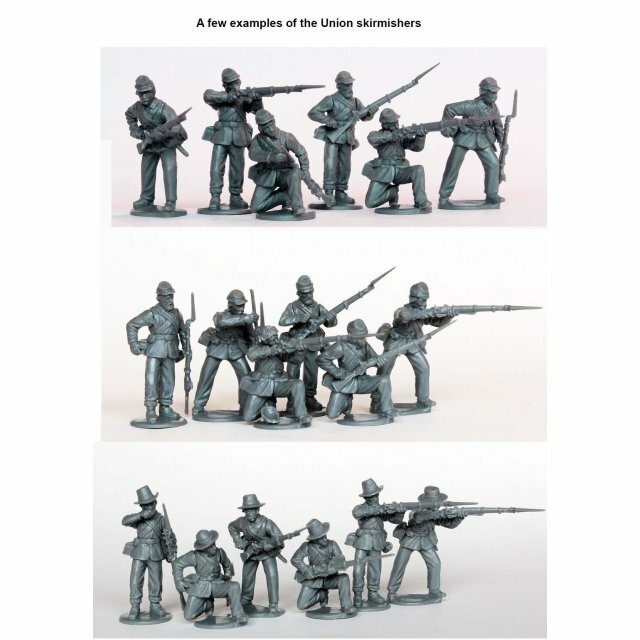 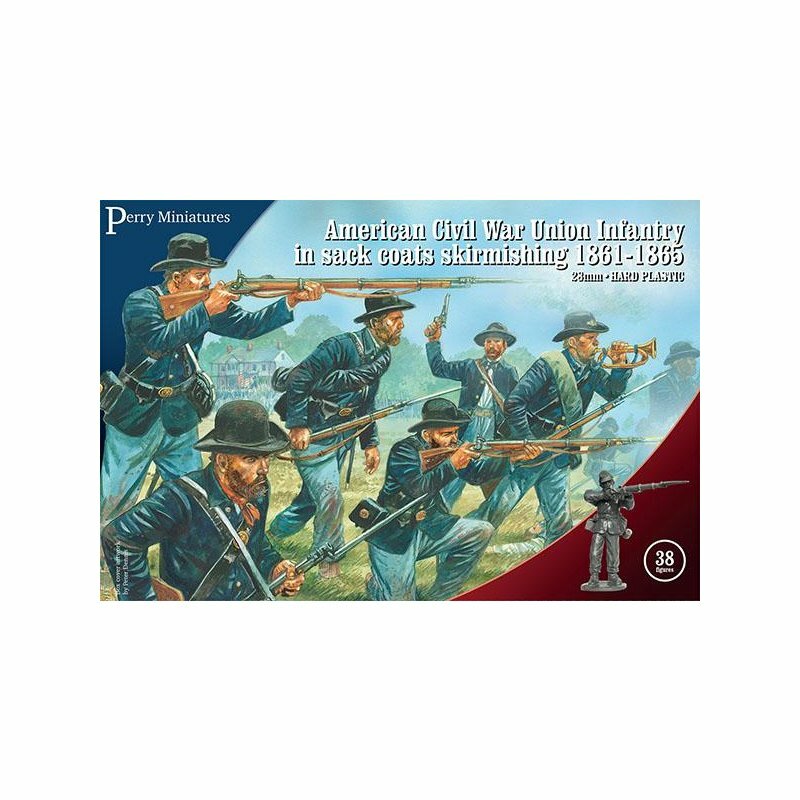 The figures are the same as the Union box ACW 115 but are a different mix to allow a skirmish force to be built. You could also create a ragged firing line with most of the the figures too.